WASHINGTON? The heads of the U.S. and Chinese civil spaceagencies will exchange visits next year to discuss potential cooperation inspace exploration, including human spaceflight, according to a U.S.-China jointstatement issued Thursday. Thestatement came as U.S. President Barack Obama was wrapping up his officialstate visit to Beijing Nov. 15-18 for talks with Chinese President Hu Jintao. In the statement, thetwo sides pledged to expandcooperative ties in a number of areas, including space, civil aviation,agriculture and health. ?The UnitedStates and China look forward to expanding discussions on space sciencecooperation and starting a dialogue on human space flight and spaceexploration, based on the principles of transparency, reciprocity and mutualbenefit,? the statement said, which was posted on the White House Web site. ?Both sides welcome reciprocal visits of the NASA Administrator and theappropriate Chinese counterpart in 2010.? Then-NASAAdministrator MikeGriffin traveled to China in 2006, marking the first such official visit bythe head of the U.S. space agency. The United States and China have maintainedlow-level contacts and data exchanges relating to space activity for severalyears, but not undertaken any joint missions. 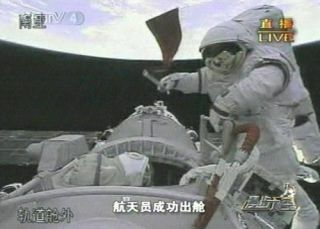 China, one of three countriescapable of independently launching people into space ? the others are the UnitedStates and Russia ? is not a participant in the International Space Stationprogram.